Militants of al Shabaab train with weapons. In coordination with the Federal Government of Somalia’s continued efforts to weaken al-Shabaab, U.S. forces conducted an airstrike in the vicinity of Jilib, Middle Juba Region, Somalia, on 9 April. 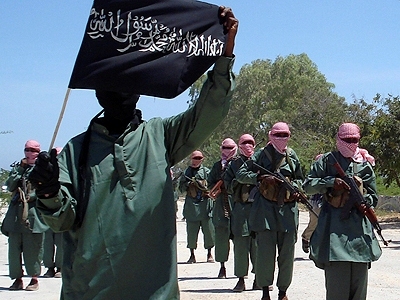 According to the US military’s Africa Command, the airstrike killed one al Shabaab terrorist. No civilians were killed or injured. “The Federal Government of Somalia and partner forces continue to make incursions into territory formerly controlled by al-Shabaab. Somalia remains key to the East Africa security environment, and its long-term stability is important to advancing U.S. interests in the region,” Africa Command said.